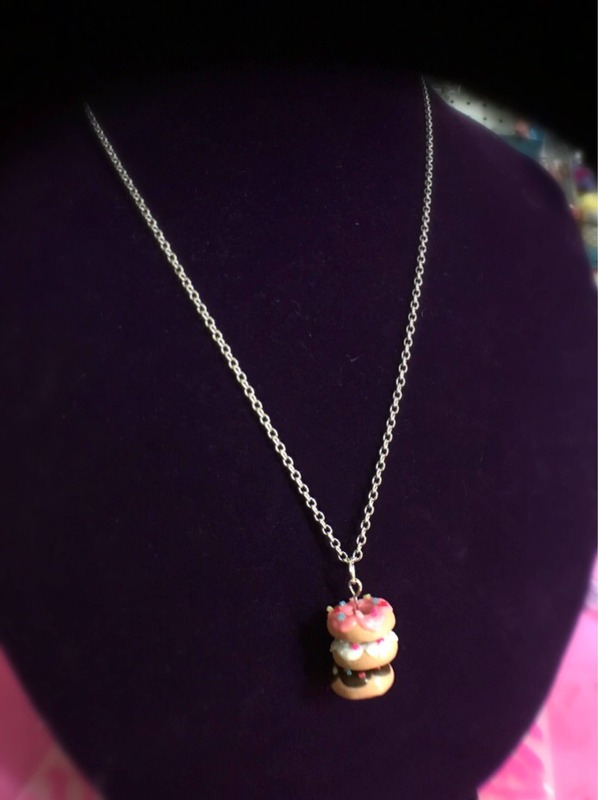 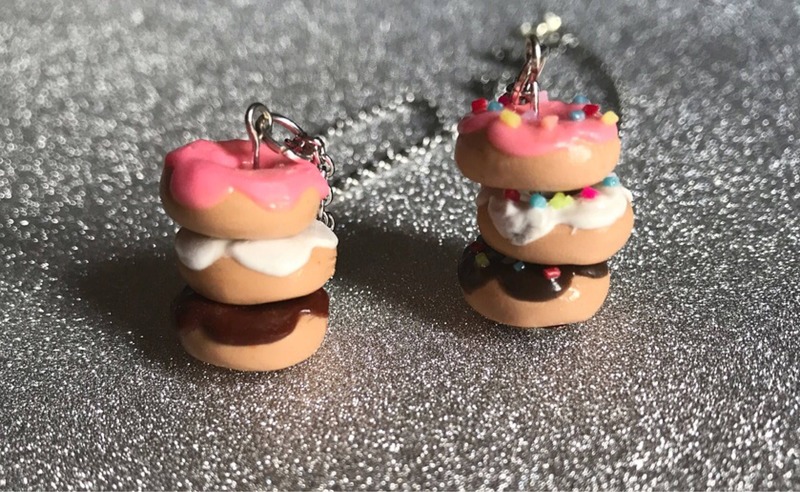 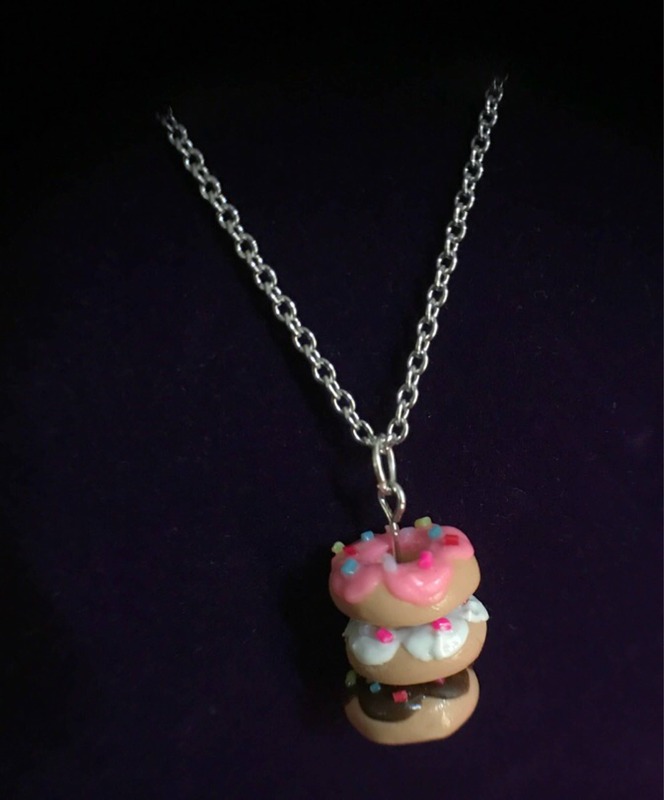 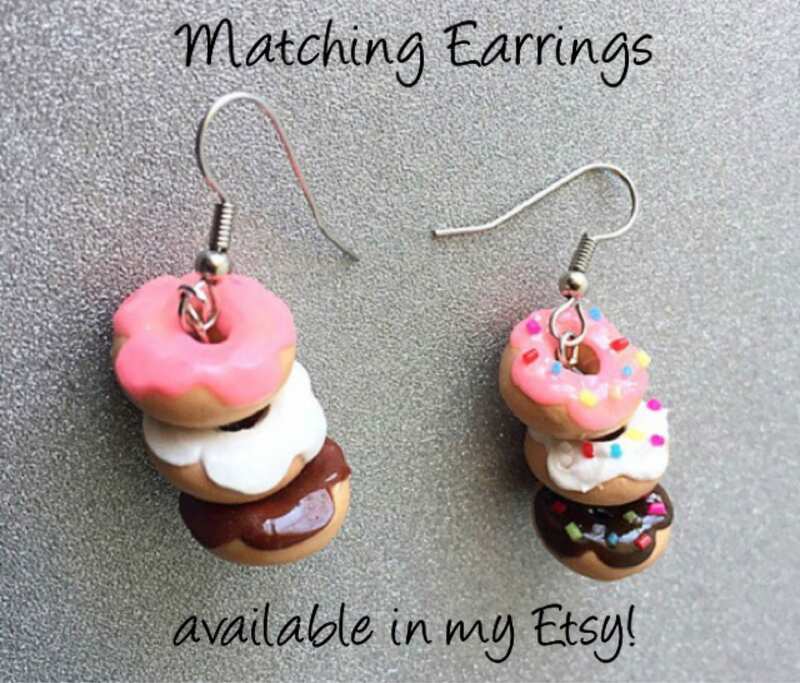 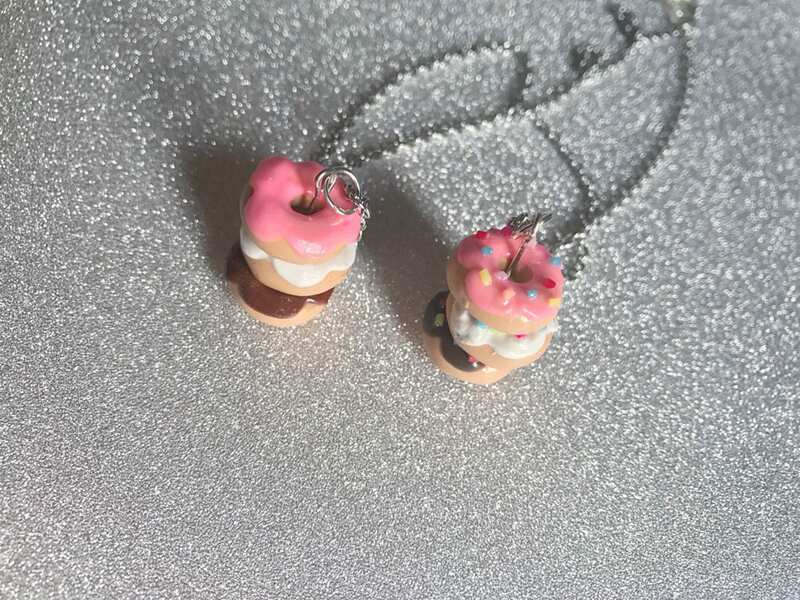 This super cute stack of donuts is handmade using polymer clay! 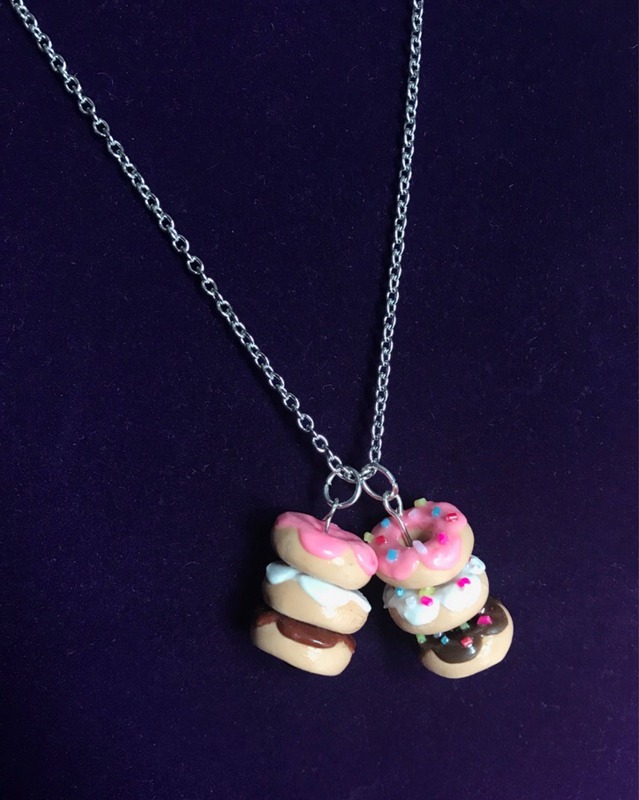 The chain is Stainless Steel & 20 inches in length. 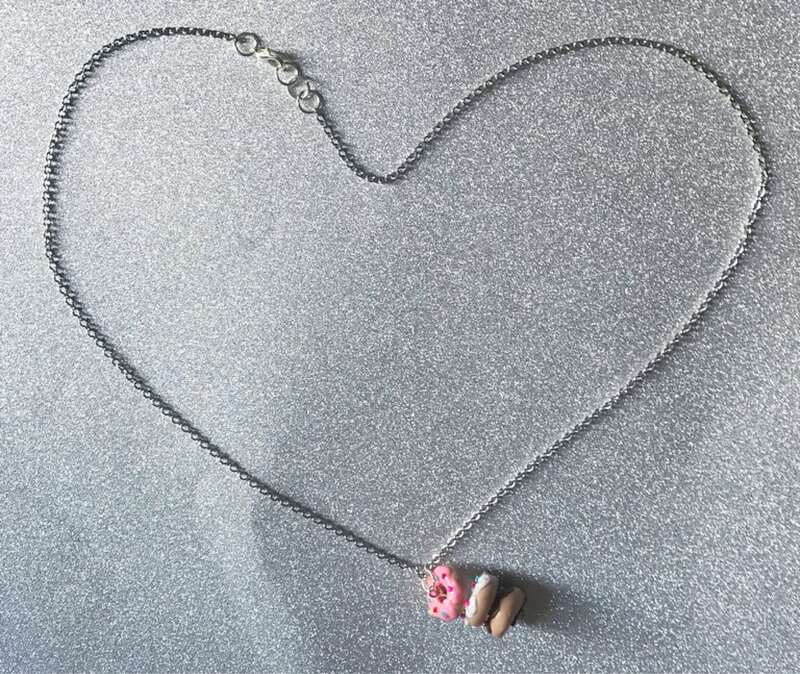 Shipping is with a jewelry box & pink poly-mailer!